Are you in need of a student shipping service to or from Malta? My Baggage provides convenient and low cost student shipping services to and from Malta, giving you one less thing to worry about while you travel. Malta is a popular destination for students on their year abroad, and even backpackers and gap year travelers. The beautiful island of Malta is located in the Mediterranean Sea. Albeit small, Malta offers glorious variety and is packed full of interest. From boat trips, to beautiful towns, to friendly people and soul-feeding views – there are an abundance of things to see and do that will surely make you fall head over heels in love with the country. Every year, thousands of students travel to Malta to work or study. Unfortunately, the vast majority of these students still pay extortionate prices for airline baggage allowances, or are required to wait weeks for items to ship overseas. It can be a slow, laborious and time-consuming process that can add a mountain of unnecessary worry on top of your travels. Thankfully, My Baggage provides a quick and efficient student shipping solution to and from Malta that can save students both time and money. 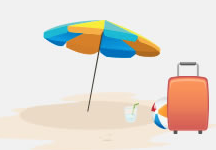 We offer great low rates on luggage weighing up to 30kg, meaning you can transport all of your belongings from country to country with ease, without worrying about breaking the bank. Booking your My Baggage shipment is simple. It takes just a few clicks, and once you’ve booked, we’ll take care of the rest. We will collect your items and deliver them straight to where they need to go, saving you from all of the hassle. We provide full online tracking, as well as SMS and email notifications to allow you to monitor the progress of your shipment every step of the way. And if you happen to have any questions or concerns at any time, we have a dedicated customer support team who can help via phone, email and live chat. Low international student shipping rates. Super fast shipping times to Malta and to over 200+ countries worldwide. £100 free compensation cover on every shipment. Quick, easy and secure online booking. The very last thing you want when moving to new and unfamiliar surroundings is to be without your belongings for a long period of time. With My Baggage, you don’t have to worry about waiting weeks before your belongings eventually arrive. Our international luggage delivery times are super fast – you can ship your belongings overseas (from the UK to Malta) within 1-2 working days. Likewise, if you are a Maltese student coming to the UK to study, you too can avail of our convenient and affordable student shipping services. The UK welcomes thousands of international students each and every year – and almost all of those students need to bring their belongings long distances in order to live and study. Thankfully, My Baggage provides the most convenient and affordable student shipping solution to help them to do so. My Baggage provides £100 free compensation cover on every single shipment. This amount can be increased right up to the value of £1,000 for a small additional fee during booking, if you wish. 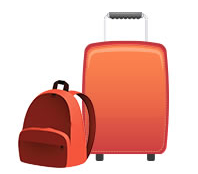 Before booking your student luggage shipment to or from Malta, we recommend reading through our list of prohibited and non-compensation items to ensure your belongings will be covered. The My Baggage team is made up of recent graduates, with many of us having traveled and studied abroad – so we understand better than anyone what it’s like to live and travel on a student budget. There is no denying that every penny counts. That’s why we make it a priority that our prices suit a student budget by offering low student shipping rates on all shipments to and from Malta. We also provide a very useful Price Match tool, so if you do happen to find a cheaper price elsewhere, let us know and we’ll try our very best to beat it. See how much you could save on sending your luggage to Malta with My Baggage by getting a quote today!